Austria already had a concordat when Hitler invaded in 1938. It had been made with the dictator Dollfuss, five years earlier. However, Germany didn't recognise Austria's concordat, nor did it extend its own concordat to the annexed territory. Therefore in 1945 at war's end, the new Republic of Austria found itself with no agreement with the Vatican. And the new this democratic government was not eager to resume a concordat dating from two dictatorships ago. However, the Vatican was anxious to save the Dollfuss concordat, as it could hardly expect to get such favourable terms from a democratic legislature. It therefore made enough concessions on marriage and money to get the concordat re-instated. During the Dollfuss dictatorship there were other state subsidies to the churches, in addition to the concordat privileges. Hitler wanted to end these, as he was anxious to make the Austrian churches self-supporting, in order to free up funds for war. Thus in 1939 his regime abolished direct state subsidies to the churches, confiscated the "religion funds" (since restored) and introduced a law to enable the churches to finance themselves through membership dues (Kirchenbeitraggesetz). The problems for the Austrian Catholic Church intensified in 1995 when Cardinal Groer, Archbishop of Vienna, was accused of paedophilia. Indignant parishioners launched the liberal lay group "Wir sind Kirche" (We are Church), which is now an international movement. After a further decade of scandals a new liberal movement of Austrian Catholic priests arose, the "Pfarrer-Initiative" (Priests' Initiative), which has also spread to many other countries. Yet none of this was reflected in the level of funding by the taxpayer. In fact, state subsidies were even increased. This came about after 30 percent more members left the Catholic Church in 2009 than the year before. Their exodus was attributed by the Church to homophobic remarks by an Austrian bishop and the Vatican lifting the excommunication of a Holocaust denier. The following year, due to the clerical abuse scandal which broke in 2010, the exodus was 64 percent higher still. However, in 2011, in an apparent attempt to stem the flow, tax exemptions for church membership dues were doubled from €200 to €400. 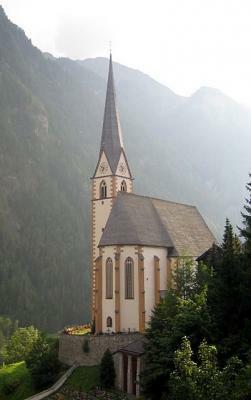 The Austrian state showed itself willing to protect the Church from the financial implications of its own misdeeds. This is a rare behind-the-scenes look at the shrewd negotiating tactics of Cardinal Pacelli. (later ) He got the dictator Dollfuss to push through a concordat of dubious legality. After the war, in 1958, the chancellor of a democratic Austria went to the Vatican to cancel the concordat. However, Pacelli, who had meanwhile become Pius XII, would not budge. A concordat, no matter how it is obtained, is permanent. Dollfuss destroyed Austrian democracy, thus unwittingly helping to pave the way for Hitler. During the misery of the Great Depression he suspended Parliament, banned the political parties that opposed him and relied instead upon Church support. The price was a concordat, which still remains partly valid today. Dollfuss was assassinated shortly after ratifying the concordat, but it remained in force until the Germans invaded in 1938. Like the concordat concluded the same month with Hitler, it contains a secret supplement. The concordat was revived in 1958, but by then two of its main topics were regulated by the state: marriage had become a civil matter and financial support for the Church, a private affair.